Working together is better. Some of the best marketing results come when direct mail is paired with email. The challenge is figuring out how to combine email with direct mail effectively. Retailers can market with the two together by first direct mailing a quarterly catalog. Afterwards, they can email sale promotions and discounts for items in the catalog. Reinforce a Call to Action. Send a direct mail piece with tracking. When the customer receives the piece, have an email triggered that reinforces the Call to Action. Expand your email subscriber list. Send direct mail to guide customers to a landing page. Use the landing page to collect their email address for your future campaigns. Use direct mail to re-engage. Send a direct mail piece to re-engage a customer who is no longer opening your emails. Reach shopping cart abandoners. Send a direct mail piece to a customer who has abandoned an online shopping cart. Offer them a special incentive for making a purchase either in-stores or online. Direct mail and email shouldn’t be in competition with each other. When used together, they can ensure your message is delivered to your audience. After analyzing your marketing campaign’s performance, adjust as necessary. In other words, be sure to test, compare, test, compare, and test again! In an earlier post, we wrote about the importance of not letting your marketing message get stale. A common example is mailing the same request or offer to the same list, month after month after month. Direct mail response tracks along a bell curve, whether you’re using it for sales purposes, fundraising or member development. Even the best of programs reaches a saturation point, where everyone who is likely to respond has already done so, and at that point, you are throwing bad money after good! 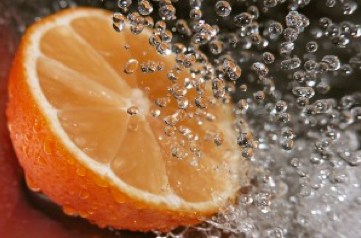 Adding some vitality to your marketing campaign can be done by freshening up the graphics. yourself going through your own stack of mail. You see things that you’ve seen before, and experience has shown that if you’ve seen something once or twice, you might actually look closely at it the third time and make a decision about whether to respond. But let’s say you do that, and you choose not to respond, and then you see the same mailer over and over again. Do you take even a second before tossing the mailer in the trash pile? Or let’s say that you look closely and you do respond. Does seeing the same mailer again and again encourage you to do it again? Experts like to say that direct mail works until it stops working. They also say that the best strategy is to freshen the message — or change the offer or change the list — before you get too far past the point of diminishing returns. That’s how you keep it working! You’ve heard of them. You’ve seen them. But do you actually understand what PURLs can do for your business or organization? PURL stands for “Personalized Unique Resource Locator.” They can be as simple as an extension of your existing web address, e.g., customersname.yourcompanyname.com. Or, they can be as sophisticated as your program name or campaign title, e.g., customersname.promotionname.com. It’s up to you. In simple terms, a PURL is a personalized website (URL) address linked to a landing page that is customized visually as well as textually for the person visiting the page. This customization can include items that may be of particular interest to the person, variable value coupons based on the person’s previous purchases, or even location specific items that may be of interest to them. PURLs are usually used along with direct mail pieces to further increase results of campaigns as well as direct visitors to specific website pages that are personalized based on the person’s information in your database — presumably collected with their knowledge and/or permission — including contact information as well as their buying and/or visiting habits. PURLs can also be used as hyperlinks in email campaigns and as web addresses linked to personalized QR Codes. When the direct mail recipient logs onto/connects to the PURL, the information from your database is used to tailor the web page to that person. This can include populating the billing and shipping information of the visitor, filling line entries on an order form based on a customer’s previous purchasing habits, personalizing a presentation to a person based on their previously noted preferences which can include everything from product preferences to cultural, educational and/or departmental information. The beauty of it is that once the individual logs in, the website can track the respondent’s activity and continue to tailor the information being presented based on their behavior as well as collect information that can be used to custom craft future print and internet communications. What’s more, PURLs can track and capture information that can be used to help you understand your clients as well as determine the value of your marketing money being spent and what is being effective or ineffective in providing results. By combining both media — direct mail and the internet — marketers can take advantage of the personalization, comfort, tangible appeal, and quality of commercial Variable Data Printing (VDP), and the immediacy, tracking, analytics, and instant response of the Internet. All the while, simplifying the contact process for your potential customers. That’s what makes a PURL so powerful. It’s just so simple, and simple works. As we all know, the simpler the process — be it through personal or professional experience — the higher the response and rate of return. A PURL is the ultimate targeted marketing tool — a web page about you or your business, designed to cater to each individual visitor’s interests, preferences and/or buying patterns. For more information on PURLs and how Mitchell Graphics can help you use them in your future marketing campaigns, contact your Account Representative, or call us at: 800.583.9401. Why does Personalized Print create more interest? We are psychologically predisposed to love our own names as it creates an identity and separates us socially. A Personalized Print mail piece brings a whole new meaning to name dropping and can create an interest in opening the envelope. What demographics do you collect from your customers? Age, marital status, number of children, extracurricular activities, city/state? With Personalized Print, you can make this information work for you. For example, a college or university can tailor a postcard to address graduating high school students, then change up the theme of the card to address non-traditional students. Taking a step further, the university can add images reflecting activities offered which the prospective student indicated to favor. Want to learn more? Call 800-583-9401 or send us an email today and ask how Personalized Print can optimize your next direct mail campaign. 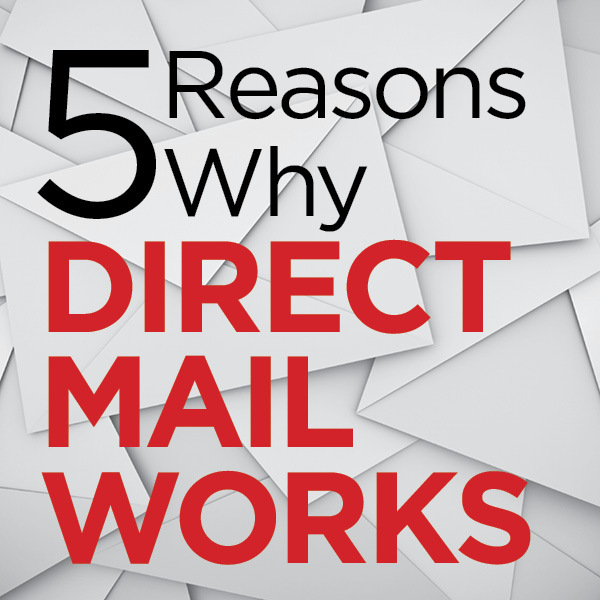 The success of any direct mail campaign begins with the list. Profile your best customers. Discover the attributes that will ensure new customers will become loyal customers. Once you’ve dialed in on the optimum characteristics, start building your list. This type of list is comprised of information from public records and sources such as the telephone book, courthouse records, bankruptcy filings, deed recordings, tax documents, census findings, etc. Information that is readily available to the public is collected and compiled into a mega database. This type of list is ideal for those businesses that need special demographic selections to target a well-defined market, for example manufacturing companies with more than 50 employees and an annual sales volume of $3,000,000 or more. Or perhaps single family households with an annual income of $125,000 or more in all zip codes representing Chicago. Since these lists are based on self-reported information that is easy to access, the cost of purchasing this type of list is low. Information in this type of list is much more targeted and will be your best choice if you need to reach a specific market or audience that has similar interests or characteristics. These people have responded to specific media offers, have purchasing habits that can be tracked and measured, subscribe to specific publications or have signed up to receive discounts and information on targeted subjects. Because these lists are comprised of individuals who are willing participants and purchasers, response rates tend to be higher—justifying a higher cost for the mailing list. Be aware that not all criteria are available in each type of list search. You may be able to locate architects with a household income of more than $250,000 in Boston, but this type of list may not have the available information on registered boat owners. You must decide the most important characteristics of your ideal customer and model your mailing list around those criteria. No purchased list will guarantee a 100% response rate, but purchasing a list from targeted criteria is a good place to start. With a bit of research, and tweaking over time to check and re-check your list, you’ll find yourself on the path to a successful direct mail campaign. Printed Mail vs. E-mail: Which is the Better Marketing Tool? 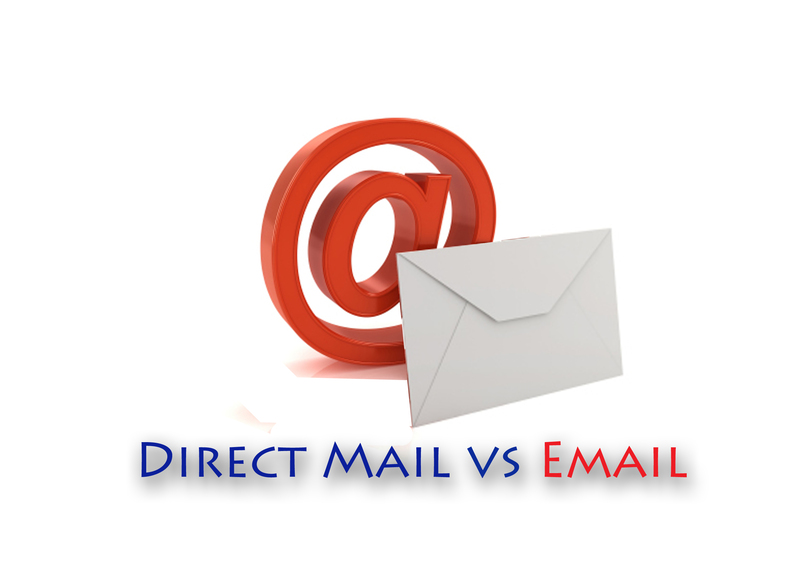 Which works better, “traditional” direct mail or marketing via e-mail? The short answer is that no one really knows, because both have been proven to work in various applications. Maybe a better answer, though, is that traditional printed/postal direct mail and e-mail can work together. Your audience probably includes people who prefer to be contacted via one or the other, so using both increases the likelihood of making a connection. E-mail also costs less, which makes it an attractive option to many marketers. But there’s a catch, right? It’s pretty easy to buy a list containing postal addresses for any given set of demographics. It’s not as easy to find a list with e-mail addresses for all of those people. Here’s a thought, though. How about a campaign that leads off with a printed postcard, featuring an offer which involves a chance to win something of high perceived value. Visit our website and register for your chance to win an iPad! Every e-mail address you capture gives you two ways to reach that prospect or customer in the future. And here’s an even greater benefit. At the registration site, you can ask for even more data that can help you to tailor an offer that will appeal to that individual. Don’t overdo this, no one wants to get to your website and be faced with 50 questions. But just two or three key questions could make a very big difference in your future marketing results. Direct mail postcards have proven to be one of the most versatile options in direct mail marketing. They offer a quick, affordable way to create smart, condensed direct marketing campaigns. They work just as well in conjunction with, or in place of, traditional direct mail promotions. Drive brand awareness. Create a series of creative postcard mailings for campaigns geared toward establishing or strengthening your relationship with customers and potential customers. By mailing frequently, you stay top of mind with your customers. Send traffic to your Web site. Mixing online and offline media works best when you have a clear call to action and the path to information is simple to follow. Give your postcard audience a compelling reason to visit your Web site – an offer or announcement that will prompt a reader to act. Be sure not to disappoint your visitors once they arrive at the site. Make sure the offer is prominently featured on the home page or control and track response by creating a custom landing page dedicated to the offer promoted in the postcard. 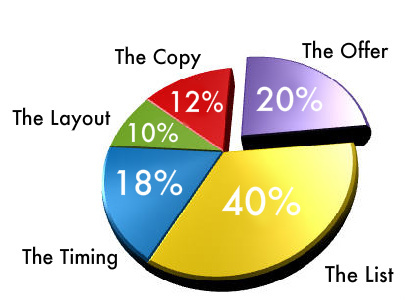 In taking your audience to your home page they often get lost. Advertise current and upcoming promotions. Inform your customers of your latest offer or upcoming monthly specials. Show your appreciation. Thank customers and donors for their purchases or donations and encourage a second purchase. Follow up with attendees after an event. Use postcards to offer discounts or educational materials or to promote upcoming events. Develop a strategic customer loyalty campaign. Build stronger, more relevant customer relationships with personalized postcards. Using variable data printing your message can be customized to include the recipient’s name, company and graphics geared to their interests. Generate more business. Advertise to prospects or existing customers, especially in down times. It’s cost-effective and gets attention. For example, in an effort to generate additional sales, a client recently launched a postcard mailing for a niche retail store. Each customer received a personalized postcard that featured several products similar to a previous purchase. The offer featured an extra percentage off the next purchase. Within four days of mailing, the effort generated an overwhelming volume of sales. Get into social media. Send your Twitter followers, LinkedIn colleagues, and Facebook fans a non-digital surprise. They’ll love it. These days simple, efficient and creative will make the difference. Make the best use of your time and budget…postcards ARE powerful.